Never work with children, animals…or crabs! 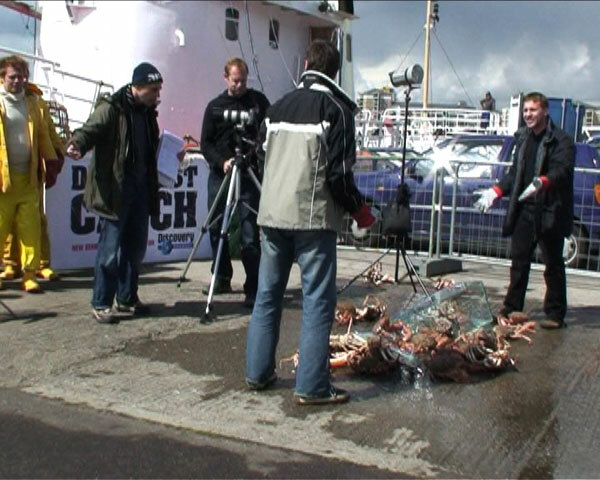 Yesterday’s Discovery photo call for the launch of Deadliest Catch went horribly wrong as a tank holding £5,000 worth of giant crabs smashed on the ground. If anyone thinks that’s real they must be bonkers! Since when did fishermen in oilskins need makeup for a reality show? That might not be necessary true. 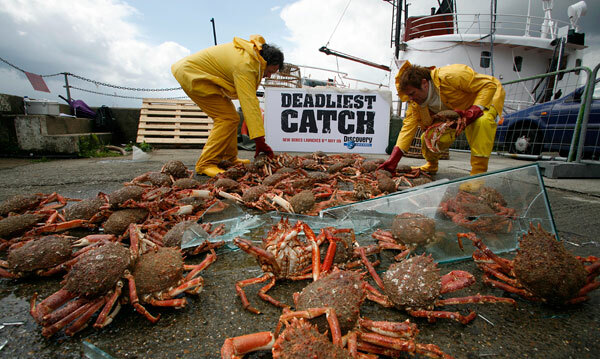 Although it does look staged, there are alaskan king crabs that are naturally red in its raw form. 100% scripted. Come on. Note the way camera tracks left as the glass tank exits camera right, (which just happens to be) the moment when the tank shatters. Also note the “actors’” feigned surprise, the lack of glass EVERYWHERE (including on the crabs), the narration which levels perfectly each time he speaks (i.e. voice-over), etc. Corporate viral videos can “smell fishy” (excuse the pun) — case-in-point Kobe Bryant’s excellent viral for Nike’s Hyperdunks — but they at least need to show a little imagination. Color me unimpressed. Feels very “scripted” and staged to me, but perhaps I’m just jaded & overly skeptical. I would have been more entertained if the crabs had at least scrabbled away in all directions, creating some sense of panic. Sorry Discovery, this one’s a miss. I’ll still watch the show though!